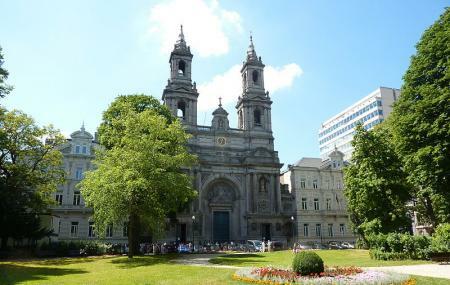 Saint Joseph has been the patron saint of Brussels since 1639. This neo-Renaissance building was dedicated to him in 1874. The ornate birthday cake like facade of blue stone. Bas relief ‘Triumph of Faith’ over the central portal. Two rows of Corinthian columns. The pretty gardens in front of the church. Confirm times before you visit.